Small Shallow Invader is the little brother of the Shallow Invader; Unlike its larger brother this lure has a brilliant wiggling action, not only is the soft plastic tail scaled down to fit but the company who now make everything for Brad at Musky Innovations have made the tail out of much softer plastic, therefore giving it a way better action than its big brother. This lure has already become the 2010 super lure for big perch on the European mainland. While we may not have so many big perch as Europe we have plenty of pike and I’m sure they will find it just as irresistible. This is a great little lure, easily castable by anybody at only 34g and really should be in every tackle box. 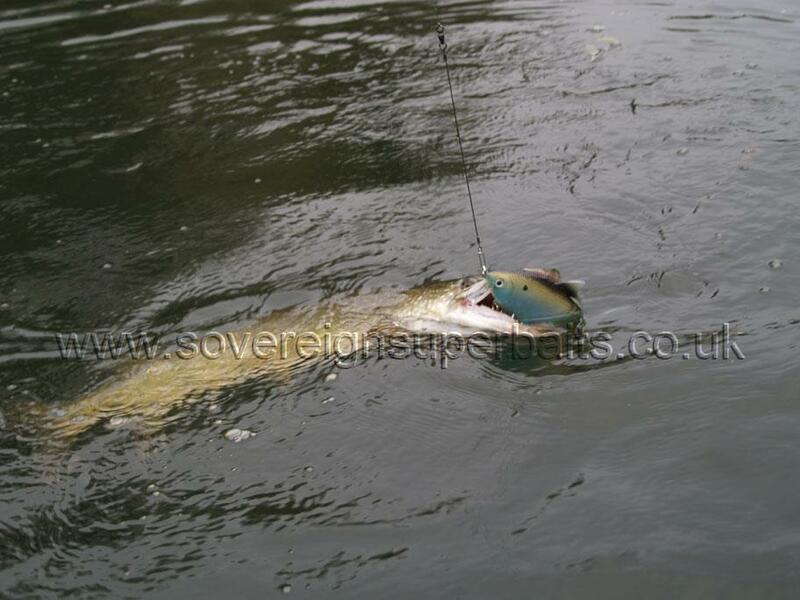 Cranking Real Fish is one of an ever increasing range in the Musky Innovations Realfish series. We have imported this one in what the Americans term “medium sink”. This bait will cast well on just about all jerkbait rods, being just over 100g. 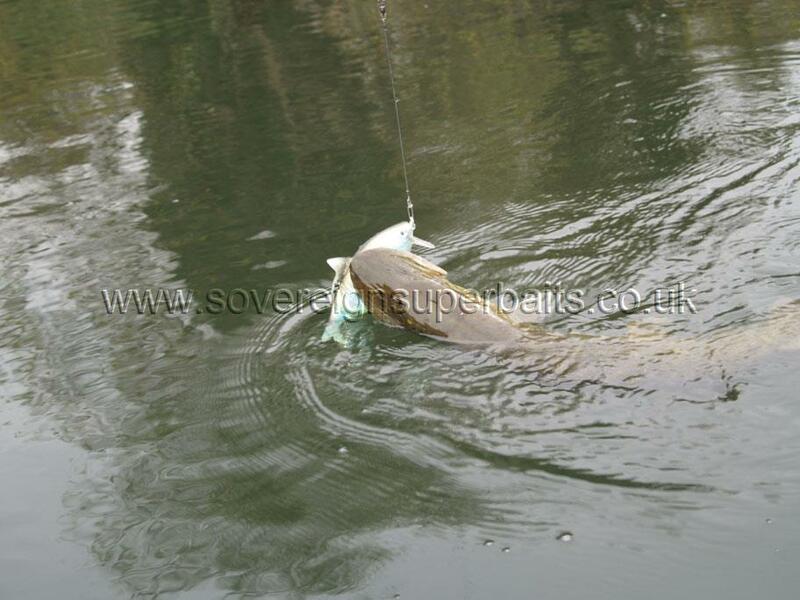 It has a great “injured bait fish” action, is a nice realistic size and in tests we carried out on the Thames we caught double after double. This lure will also troll very well and should become a great favorite with the reservoir set. Bobcat Real life Perch Like the above this is also out of exactly the same mould as the Dunwright original. It is 10 1/4” in length, weighs in at 154g, has a super action in the water and as you can see from the damage to the top one (colour number 1), we have already dragged this one around. No monsters yet but it was very popular on the day. Bobcat Real life Pike: You may have noticed an uncanny similarity between this lure and the Dunwright lifelike pike. That is because these lures come out of exactly the same mould. This lure is 12 1/4” long, weighs 192g and has an incredible action in the water. Available at present in only three colours, we hope to acquire more as time goes on. A couple of recent Thames upper doubles on the Shad Clone. Two out of three from a 50 yard stretch in a brief feeding spell. This was the only lure that scored on the day. Shad Clone: is in our opinion a must-have lure for all reservoir and big pike enthusuiasts. The designers have taken the good points from 3 infamous big fish lures, the internal cradle from the megabait, Charlie, the lifelike styling similar to the Castaic and the slashed body and bill from the Sosy, giving you a 10” Skimmer lookalike that swims, looks and feels like an injured fish to a pike.